Bring your sport at the comfort of your home with Stiga Instaplay Table Tennis table as it is easy to assemble and gets you on the go with the game. It also has corner pads to ensure the player’s protection from unexpected bumps. Also included in the package are the net and the posts. It is made with the highest quality of materials to let you enjoy the game. 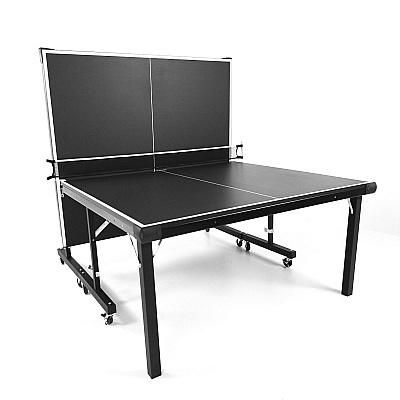 There is a lot of Stiga Instaplay Table Tennis Table reviews all over the net to help you decide if it suits your needs and preferences. It really gives you an “instant” play. Since the assembly time is a factor, having this product lets you save time as it is easy to assemble once you take it out of the box. It has a sturdy surface and support to provide an excellent play. It is worth the price since you are provided with a good quality gaming table. The table has a wide surface, perfect for playing table tennis. Since most of the purchasing transactions are done online, most reviews say that delivery is smooth and fast. This table has a unique design. It splits into two parts and can be assembled back to the original formation. Guaranteed that it is made with high quality products. Can be easily stored since it can be folded easily to save up space. Also serves as a multipurpose table. Since it can be split, you can use the parts for other recreational activities. 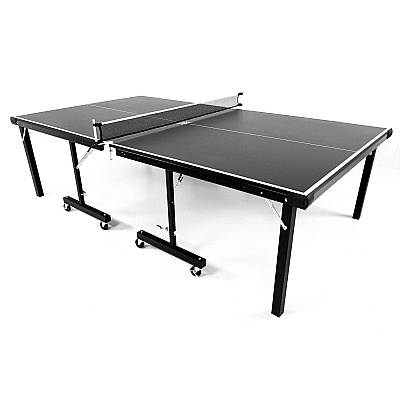 Most reviews say that this table is a must buy for table tennis enthusiasts. It is indeed a time saver. “It is an excellent table” is the most common comment by the buyers of this product. Nevertheless, some people may found the quality of this Stiga table tennis table is good but not excellent. For this table, the play surface is superb. However, the material that built the legs can said to be average. The legs can sometime shaky and loose-fitting which make the whole table turns to be very unstable. Sometime attempting to secure the anchoring screws can be futile caused they may stripped right out of the table bottom. This issue may happen if the table is being fold and unfold very frequent. For players who seldom had the table move may not have any issue with it but the mounting brackets and hinge pins are not of good quality which can be improve further. The overall design of the table is good and the material used to build the table is up to standard. It will be perfect if the workmanship can be enhanced. Not like other ping pong tables that requires plenty of times for assembly, this Stiga ping pong table is rather easy to assemble. You may just spend 10-15 minutes to set everything up after taking all parts out of the box and you are ready to play the game right away! You can said it is actually a non assembly table tennis table. Once this folding table tennis table reaches your doorstep, you may need to spend about 10 minutes of your time to cut and remove the folding cardboard as well as take off the wood sides. Follow by an additional 2 minutes to stand the two halves of the table up and put on the wheel. Yet another 2 minutes to unbox all the accessories, position the corner protectors plus completely unfold the table. Finally, spend just about a minute to set up the net by joining the 2 halves of the table together and it is all set. The Stiga Instaplay Table Tennis Table reviews go to show that this product is worth the money. Most are positive reviews and the negative ones point out flaws that can be easily solved by a simple repair. This gaming table will surely make your table tennis playing worthwhile. No wonder that this product is recommended for those who want to own a table tennis table in their homes. 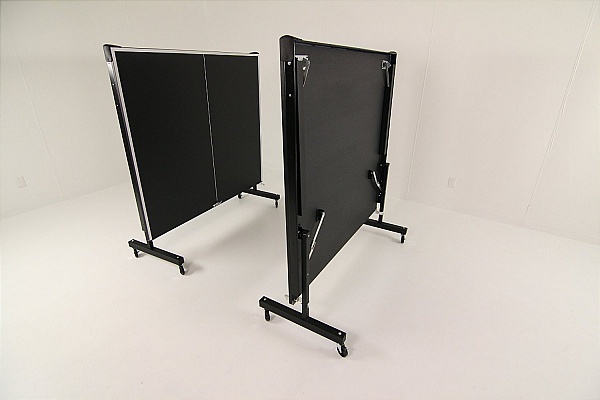 There are still a lot of STIGA table tennis table choices that you can have. I would said this Stiga table tennis table is a rock solid table. I have it order last month and it took 5 days to reach my house from the day I order. The table arrive in good condition and the truck driver is very helpful as he helps to carry the folding table to my basement. I took about 5 minutes to unfold everything and just 3 minutes to set the table up. The net that come together is of great quality and I have no issue at all to assemble the net to fit on the table. 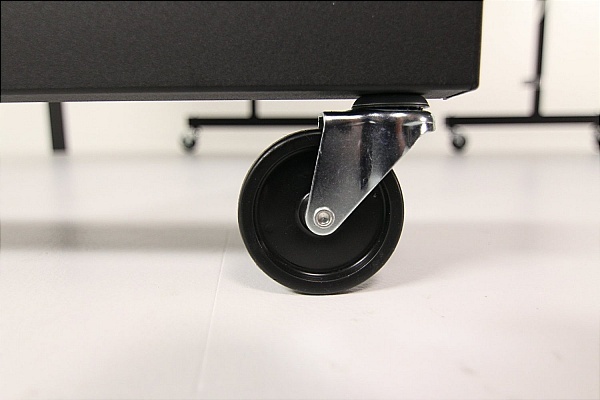 The table is extremely easy to fold and store. I give it 5 stars and would recommend those who want to buy a table to consider this one.